Paxhaven is located in the centre of Outer Hope and less than a 5 minute flat walk to the beach. 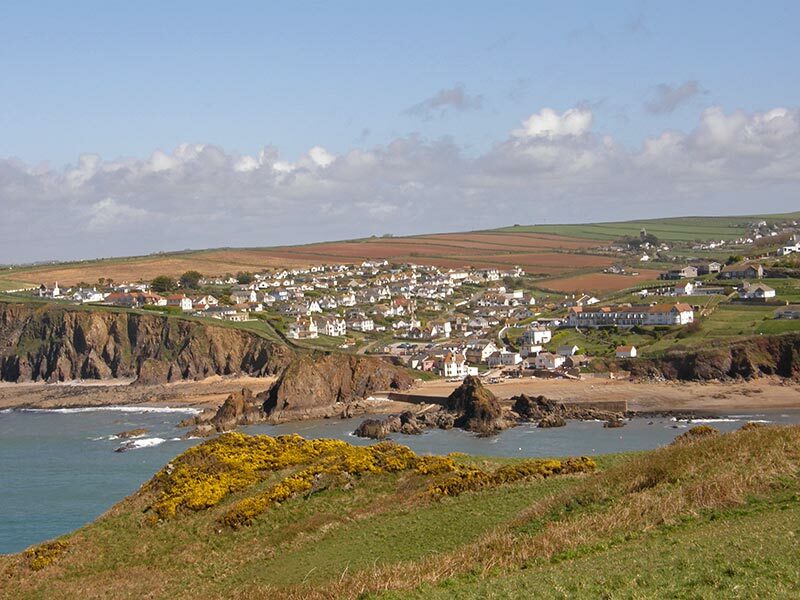 Hope Cove is a beautiful Devon village, with lovely thatched cottages and safe, unspoilt beaches patrolled by RNLA lifeguards during the summer. Two pubs, the Hope & Anchor and the award winning Cove Bar, plus the village shop/post office are conveniently close by, as are a number of other places to get an evening meal. Please note detailed directions to our B&B will be provided when you book. The beautiful South West Coast Path is just a few strides away. The path is a designated National Trail providing some of the finest walking routes in Britain. To quote the SWCP website “The section from Hope Cove to Salcombe is thought by many to be one of the most beautiful sections of the entire 630 miles of the path”. Hope Cove has two lovely beaches (less than 5 minutes walk away). Other local beaches include Thurlestone Sands (a 30 minute walk or a 10 minute drive), Salcombe is also only 10 minutes away and has the lovely Mill Bay/Sunny Cove. Bantham and Bigbury (along with the stunning Burgh Island) are about 25 minutes away and well worth a visit. We are also conveniently situated for the towns of Kingsbridge and Dartmouth, the award winning Blackpool Sands is also just a short drive away. In addition, a number of National Trust properties are reasonably close, namely Overbecks, Coleton Fishacre, Buckland Abbey and Saltram House.